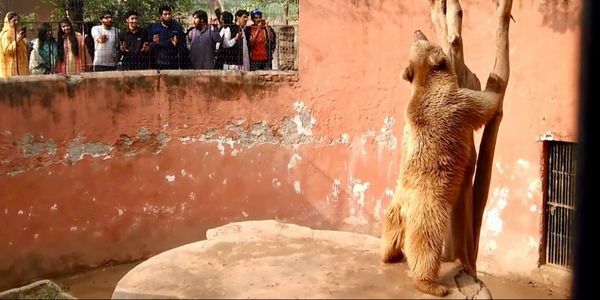 petition: Islamabad Zoo Bear DIED DUE TO CRUELTY & now they have a NEW BEAR! Islamabad Zoo Bear DIED DUE TO CRUELTY & now they have a NEW BEAR! The Himalayan bear at Islamabad zoo had died in July 2018 and has been replaced with a new bear !!!! for years visitors and activists raised concern for the Himalayan bear to be shifted to a sanctuary. Please sign this petition this new bear should be sent to a sanctuary this bear has rights and living in the same conditions ! Bears aren't used to being confined and crammed into an enclosure. Swaying in bears or pacing and moving their head from side to side are abnormal behaviours. This bear was deeply disturbed a term called zoochosis. The administration control of Islamabad zoo was changed in (2016) from Capital Development Authority (CDA) to Metropolitan Corporation Islamabad (MCI). It's the duty of government to promote conservation by framing strict laws regarding these animals, but they continue to suffer. The bear died, sending out a clear message that the animals continue to suffer and that authorities are taking no interest in ensuring that there are proper facilities or care provided to animals. Himalyan bears are found in North Pakistan and considered to be critically endangered and facing extinction. The lack of awareness of Islamabad zoo administrator's, who are ignoring the bears' ecological and social importance, is making things worse.